This entry was posted on Monday, 23 July 2012. You can follow any responses to this entry through the RSS 2.0. You can Comment. OMG, words cant describe how much i want them!!!!! haha the possessed Olsen one cracks me up! they put some models out for sale! Following back with Bloglovin and GFC! 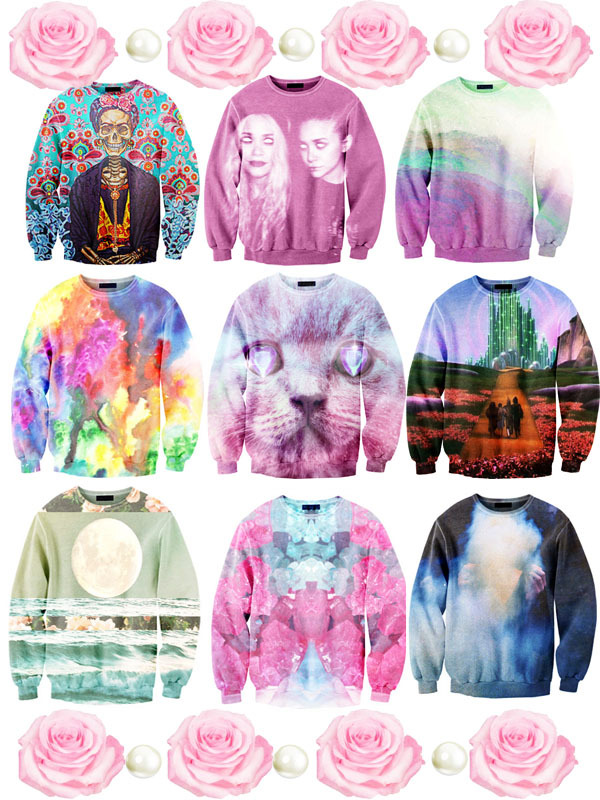 these sweaters are amazing. i want the cat nebula badly! by the way, wanna follow each other? OMG! I really love the print, all of them! waoh i just love theses sweaters!